To answer this question, Daley Harris raised the importance of connecting with groups that feel resignation as well as cultivating bi-partisan support for major issues. He touched upon citizens’ sense of powerlessness and the need to transform this into action for change. 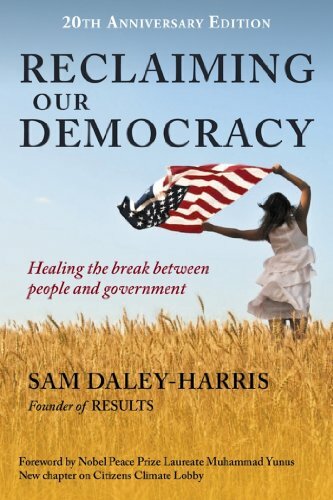 Other major themes included the importance of citizens’ becoming “profoundly effective” on one major issue and approaching politics with love and spirituality. The dynamic conversation that took place was applied to the context of peacebuilding work and the ways in which policy and advocacy can meet the many challenges and priority issues within the field. Overall, the goals are to keep citizens engaged and feeling empowered towards enacting change. AfP will continue to develop our members’ grassroots advocacy abilities, as well as explore the power to promote peace through citizen action in our work on Peacebuilding in the United States. We will discuss these issues and more at PeaceCon 2018.